The second location of a spot by the same name, the Issaquah branch of Naan-n-Curry is run by the original owners’ son. 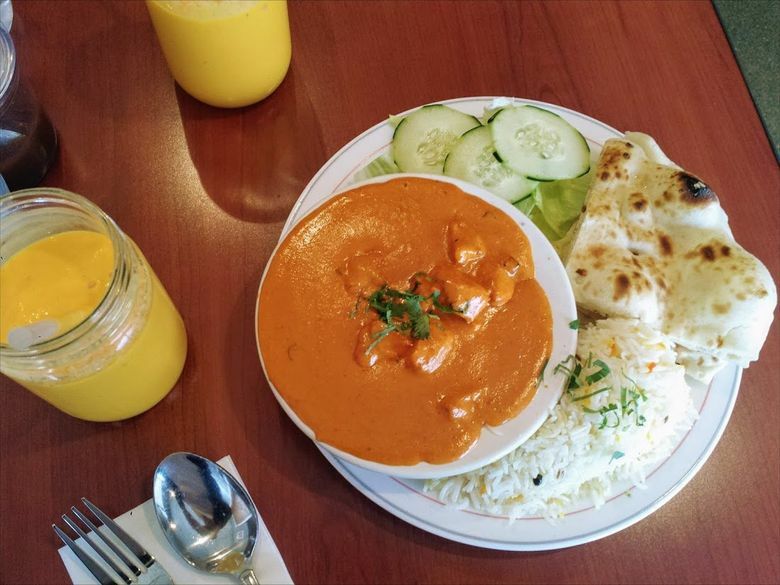 Nestled in a strip mall in Issaquah sits an unassuming Pakistani restaurant named Naan-n-Curry. Open since December 2016, it’s the second outpost of the restaurant. The first, also with the same name, was opened by Majid Janjua in Renton in 2005. The Issaquah location is run by Janjua’s son, Shan Janjua. The space is expanding into a former sock store to double seating and enlarge the kitchen because there can be long waits for tables on weekends and Janjua is hoping to work up to the same size menu that is at the Renton location. The menu: Janjua says the halal menu is Pakistani, although “many people may assume it’s the same as Indian, which in some areas it is, but still has some subtle differences that make a significant difference in flavor.” Expect curries, tandoori and daal with saffron rice alongside Pakistani staples like Haleem, a slow-cooked lentil dish with mutton and barley, and Handi, chicken or lamb cooked in a yogurt, fennel and onion sauce. All spices are ground in house and naan is made on a special rotating griddle Janjua and his father created. There are creamy lassi drinks and hot doughnuts and house-made ice cream for dessert. Don’t miss: The chicken tikka masala, dumm biryani rice with chicken or lamb, the Haleem and a mango lassi. If you’ve still got room, try the ghulab jamun, warm doughnut holes drenched in a cardamom syrup. Each table has two sauces — one plum and tamarind and the other a cilantro chutney. Janjua calls them the “ketchup and mustard” of Pakistani cuisine and they deserve to be poured over nearly everything. What to skip: The Seekh kebab with minced chicken wasn’t overly memorable. Prices: The lunch-special pricing for chicken biryani ($11.99), chicken tikka masala ($10.99), an extra order of naan ($1.99) and two mango lassis ($7.98 for both) added up to $32.95 and proved to be plenty of food (with leftovers) for two.